L'oreal has a new contest! Enter to win 1 of our 25 limited edition boxes filled with beauty essentials to help you get ready for prom night. 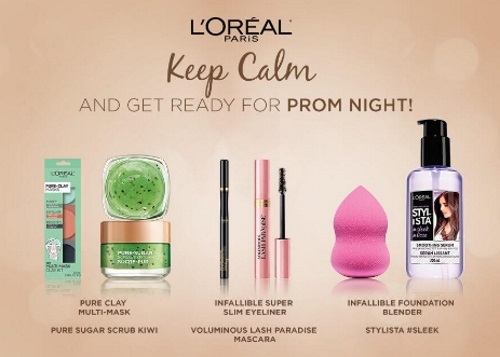 Win a Prom Ready Prize Pack including Pure Clay Multi-Mask, Pure Sugar Scrub Kiwi, Infallible Super Slim Eyeliner, Voluminous Lash Paradise Mascara, Infallible Foundation Blender & Stylista #Sleek Smoothing Serum.